IDERS designs and produces electronic payment transaction systems for CIBC, Canada’s largest chartered bank. These systems set the standard for secure mag stripe and smartcard terminals and pinpads deployed across North America. Their state-of-the-art facility is divided into engineering, administrative and production with a commitment is to deliver quality products to meet their corporate and manufacturing needs. 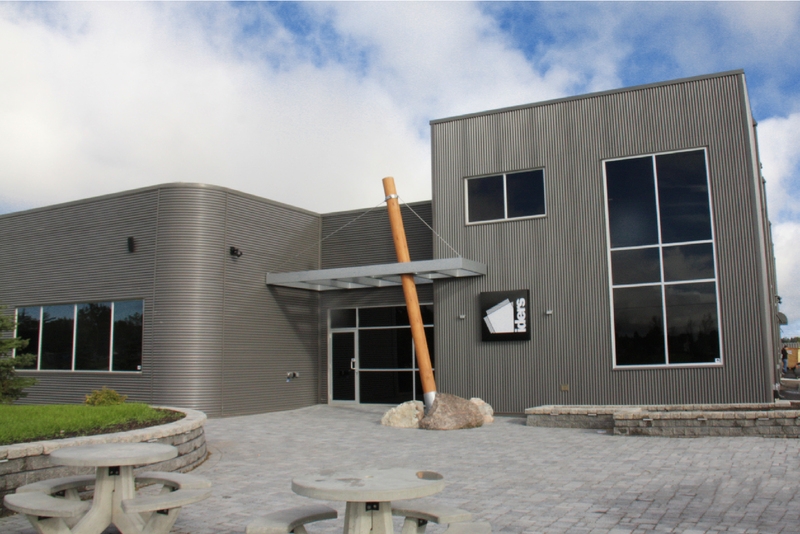 In 2014, IDERS decided to expand onto their existing facility by adding a 7,500 sq.ft two storey addition. The new addition consists of a new front entrance gallery, office space, conference rooms and additional warehouse space. The charcoal grey corrugated metal cladding on the building exterior continues the modernist aesthetic of the existing facade. By simply rotating the cladding vertically, we were able to create a juxtaposition of materials at the new front entrance, while introducing a timber feature as a focal point.